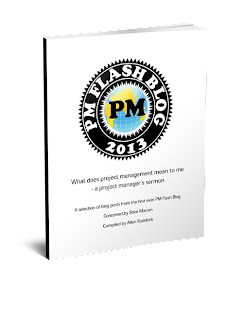 Musings on project management: 1,2,3 counting or measuring or positioning? 1,2,3 counting or measuring or positioning? Counting, positioning, or measuring: what's in a number? Remember pre-school or kindergarten: we all "learned our numbers". You can do arithmetic on count, but because of the dimensioning, the results may or may not be viable: square inches are ok, but square dollars are not. Want to rank or position something? Again, we fall back to the integers -- 1st or 2nd position is good; position 1.2 in a queue has no meaning or implementation. And, there is no dimension per se in a position. Some arithmetic still applies, but it's tricky. Addition is not commutative: you can add 1 to first position to get second position, but you can't add first position to a 1. Stuff like that. For a number to be useful in measuring, every number in between has to be meaningful. That's why you don't do measurements with ranks and positions: the in-between numbers are not meaningful. Calibration: And, to be meaningful, the scale has to be calibrated. A ruler with irregular spacings or a warped or bent rule, or guesses without reference to benchmarks or other reference classes are uncalibrated. And, thus, every number in between is not meaningful. And so, where does the rubber meet the road in project management? What's the first thing you need to do for a risk matrix or planning poker? If for real measurements, you need to normalize the reference class or benchmark to the project. And, you might ask: if I want to work with real measurements, what is the normalization thing? But, a "4" in one project may have really no relationship to the value of a "4" in another project. So, are these numbers just ranks, or positions, or are they numbers for measurement? For everything more complicated, divide by the cost of the baseline. Something twice as hard should divide out as a 2; four times harder divides out as 4.